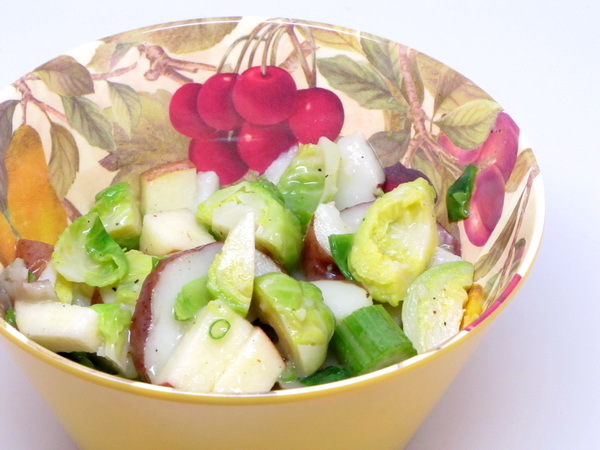 This warm potato salad adds brussel sprouts, apple and a horseradish/mustard dressing. 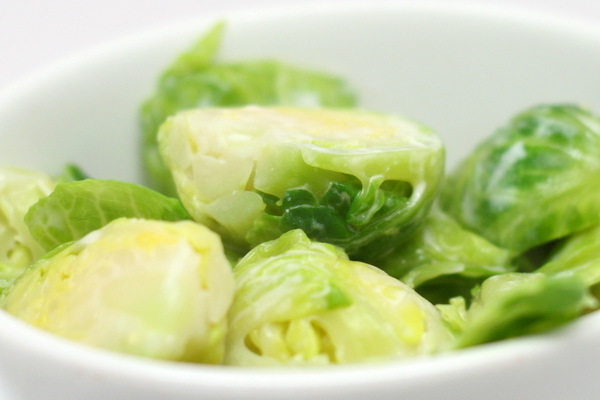 It turns out a robust side that is a welcome change to the typical brussel sprout preparations. 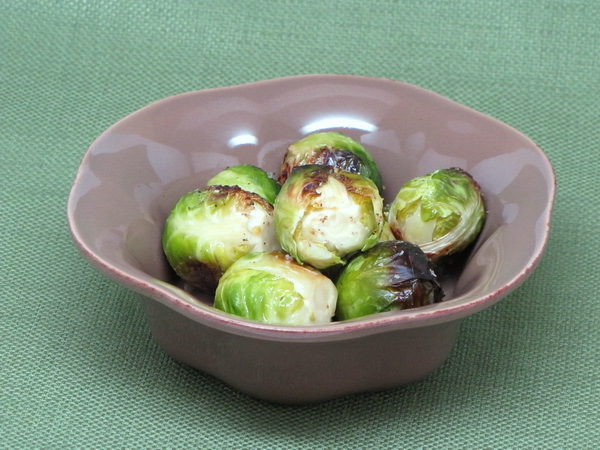 Fill a large pot with water and bring to a boil and cook potatoes 5 minutes then add the sprouts and cook another 5-8 minutes or until the sprouts are firm but tender. Drain and place in a bowl with the apple, celery and scallions. In a small pan whisk the juice, vinegar, flour, mustard, horseradish, oil and salt and bring to a simmer and then cook 2 minutes on low heat. Pour over the other ingredients and toss well. Serve warm or at room temperature.